Mozilla firefox is one of the most popular and widely used website browsers of the world. It was found by Mozilla foundation. It is a free browser which can be downloaded for free. Because of its high speed it has been appreciated by people all over the world. It has many new inbuilt features which have given it a new look as well as popularity among the avid user of internet. However firefox gives much better result, if we follow some secret tips and tricks. What are these Tips and tricks? These are nothing but some inbuilt features of firefox which makes browsing easier for us. These tips include some short cut keys and some other characteristic features of firefox. These short cut keys make browsing in firefox easy and satisfying. Shift Spacebar to scroll the page. You may scroll up and scrolls down the pages by simply pressing shift +spacebar at a time. These are some example of mostly used short cut keys of firefox. In firefox we can customize the control panel as well as the background theme of the desktop. Control panel is a place where all the important icons of the files are stored. In firefox, you can organize these icons of the control panel. In order to do this, you need to go to the firefox menu and select the customize button. From here you can change the theme of the firefox browser too. In firefox, you can open multiple websites at a time. For this one needs to go the Menu and select option. Here one can load as many URLs as they want. In firefox, you can search his or her subject by simply writing a keyword related to that topic on the address bar of the browser. The most important feature of firefox is that it can create a master password. Like many other web browser firefox too can remember the password and thus one can easily see the important document in your computer in your absence. Thus in order to prevent it one can create a master password by going to the firefox menu. There you need to choose option and then need to go to security. There one can easily create a Master password. 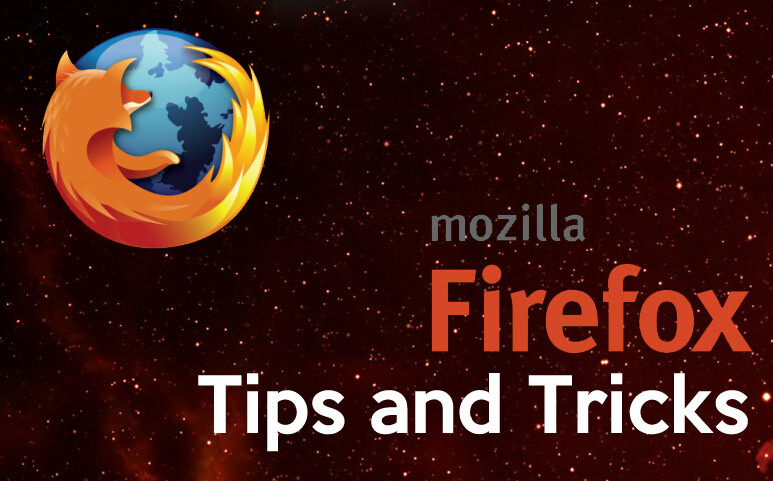 Thus these are some firefox tips and tricks one should know before going to browse in firefox.